Las Vegas, also known as “Sin-City” with its numerous mega casinos, has more to offer than just gambling. Join us on this little trip to the city of glittering lights, on Vegas getaways we´ll discover some off the beaten path adventures. There is more than one reason why Las Vegas is a must-visit in one´s lifetime. You would be amazed that there is a second side to this grandiose city mostly known for its hedonistic virtues than its natural attractions. Perfect for individuals who want to go sight-seeing, Las Vegas offers many adventurous options for the visitor who wants to explore its hidden gems. All that is required is that one is well aware of what to look out for and how to get there. Las Vegas getaways packages start from as low as $140 (flight + hotel per night) at the “Riviera”, around $200 at “Caesars Palace” and up to $300 at the “Bellagio”. Sometimes show tickets and tour specials are included. For cheap Vegas getaways: Visiting Las Vegas? Find Deals, Compare Rates, and Read Hotel Reviews on TripAdvisor. 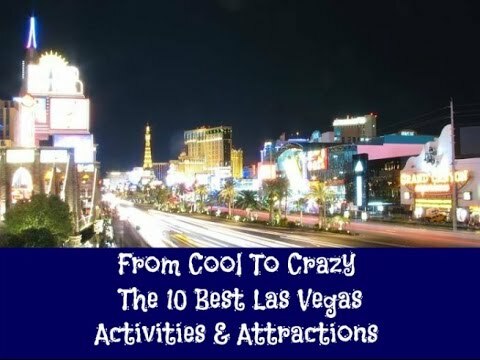 For many people, hotels in Las Vegas would sound ideal for a night out, but it is amazing to know that there are a number of hotels with numerous attractions. Flamingo Hotel is a good example. Home to numerous species of birds, the hotel is one of the perfect Vegas getaways for nature lovers and bird watchers. What´s more, the water features present make it a tranquil romantic setting for a day´s excursion. Like an oasis in the expansive desert landscape of Nevada is the Bellagio Botanical Garden in Las Vegas. The sweet smell of blooming flowers welcomes you to the gardens, making for an amazing way to get away from the hustle and bustle of daily life. If you visit Las Vegas during summer, make sure to catch the “Summer Garden Party” at the Bellagio Gardens. The magnanimous tree house on location at the gardens allows the kids to expend some of their energy. The giant snails and frogs are actually designed from greenery, and make for an enchanting attraction. Be sure to snap away memorable photos to take experience at the gardens. Shark Reef is also one of the best Vegas getaways. Here, visitors come up close with the sharks, jelly fish and even the dreaded sting rays. This is an informative tour as you get to learn about the natural habitats of the water animals as well as their feeding patterns. For the curious visitors, feeding the sharks at the reef will certainly be a highlight of an exciting tour in Las Vegas. What more to do on Las Vegas weekend getaways? A trip to Las Vegas is incomplete without taking an adrenaline-pumping adventure on New York´s roller coaster or an amazing aerial view of the city. Another exciting way to engage in activities while in Vegas is to head to the park and go bungee jumping and savor the exhilarating experience as you plummet towards the face of the earth. Break the bonds of gravity and let your body fly, no airplane and parachute needed at Vegas Indoor Skydiving. If these adventures are not your cup of tea, you still shouldn´t miss out on the amazing views of Vegas. At “Stratosphere Casino and Hotel” you can enjoy the spectacular view from the pool on 8 floors above the exciting Las Vegas Strip! The National Atomic Testing Museum one of the most comprehensive collections of nuclear history. This museum is one of its kinds, alarming, disturbing but also fascinating at the same time. I like Las Vegas because it’s fun, but unlike Disney World it is not an ideal place to take the kids. For families looking for more kid-friendly Vegas getaways, Adventuredome Theme Park will provide an ideal location. The only indoor theme park in Las Vegas, this is a park worth checking out with the kids. Thrill rides, carnivals and chopper rides are some of the must-do activities while at this park, not forgetting the tantalizing food on location.